REBUS IS BACK. The superb No.1 bestseller from 'Britain's best crime novelist' EXPRESS A series of seemingly random disappearances - stretching back to the millennium. A mother determined to find the truth. A retired cop desperate to get his old life back... 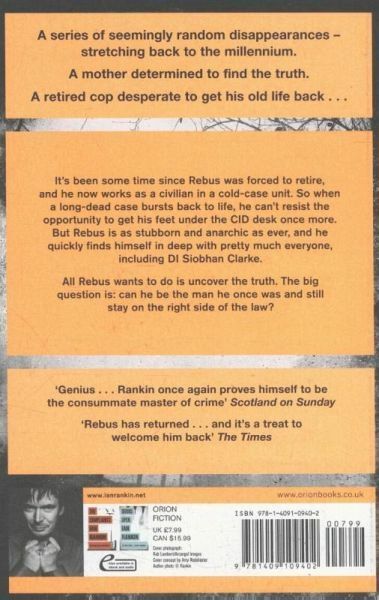 It's been some time since Rebus was forced to retire, and he now works as a civilian in a cold-case unit. So when a long-dead case bursts back to life, he can't resist the opportunity to get his feet under the CID desk once more. 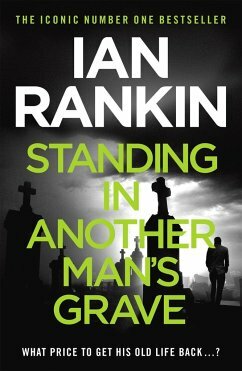 But Rebus is as stubborn and anarchic as ever, and he quickly finds himself in deep with pretty much everyone, including DI Siobhan Clarke. All Rebus wants to do is uncover the truth. The big question is: can he be the man he once was and still stay on the right side of the law?